Discussion in 'November 2018 Challenges' started by ashleywb, Oct 29, 2018. Go grab the template and then use it to scrap a layout. You can scrap it exactly as it is, or you can flip it, rotate it, add or replace, as long as we can tell you used the template as your starting point. Here's my page using the template. Have fun with the template! And as always: Your page must contain at least 75% Lilypad product. 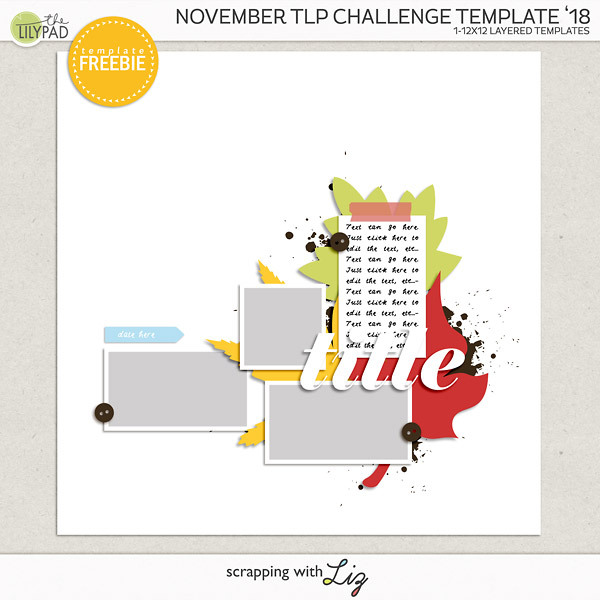 Your page should be posted to the Lilypad Gallery and then linked to the November Challenge Layouts thread so it can be tracked, and to this thread. Trish, Ga_L, Ferdy and 4 others like this. Thanks for the template. This will be a fun challenge! This looks a great template as I do like multi photo templates.... Thankyou @ashleywb for hosting and thankyou Scrapping with Liz for the template. Thank you for the template! Can't wait to play with it! Scrapping with Liz and ashleywb like this. Love your example layout, Ashley! Thanks to Liz for the free template. thank you for the template, I think I'll be playing with it again. Carol K., Scrapping with Liz and ashleywb like this. Thanks, Liz, for the great template. You guys are welcome! Already so many beautiful pages. 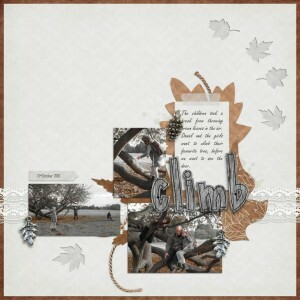 What an 'autumnaly' awesome template! Thanks so much, @Scrapping with Liz and @ashleywb . Can't wait to play with it! I hope you can still tell it was the template - I rotated it 90 degrees and scooted the pictures over a little to make room for a bigger photo in the white space.